When couples come to meet with me to potentially look to book and chat about their wedding day photography, one of the things I find myself doing is talking through a timeline of their day from a photography perspective, about how I typically shoot the day and advise on things like timings and the like…with nearly 400 weddings under my belt now, there’s probably not a lot that I haven’t come across! 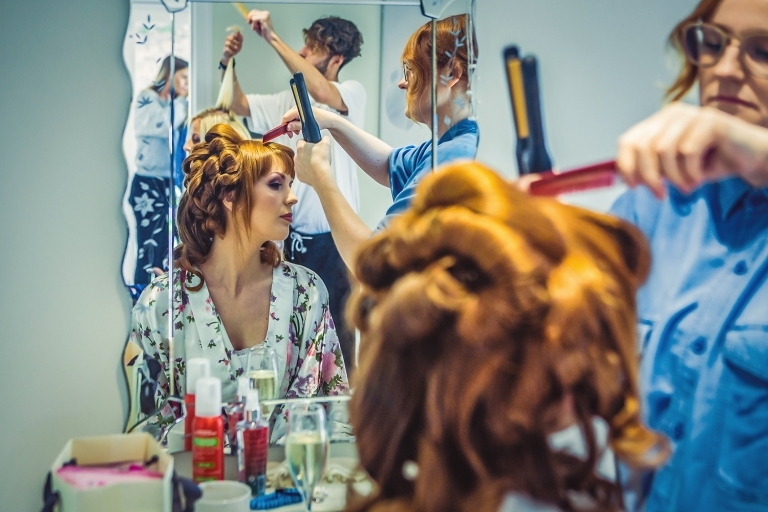 The majority of weddings I shoot will commence with bridal preparations…hair, make-up, drinking prosecco etc LOL, and I want to make sure I’m there to capture all those moments. I’m not there for all of it…after all, who needs the best part of four to five hours of hair and make-up shots…about an hour and a half usually does it, so I generally kick-off around 10.30am or thereabouts. Oh, and I’ll also shoot things like the dress, shoes, flowers etc while I’m there. What do you need to do…well, nothing really…apart from let me in the door, and I’ll just drift around and do my thing :-). And, hey girls, if you have those fancy dressing gown things with your names on (or even if you don’t), I’ll grab a quick shot of you all before I leave :-). Mike’s Top Tip – please leave all the details items (dress, shoes, flowers etc) all in one place as it makes it easier for me to shoot these on arrival. I usually like to make sure I’m at the venue, be it a hotel, church, private venue (or otherwise), about an hour before the ceremony. 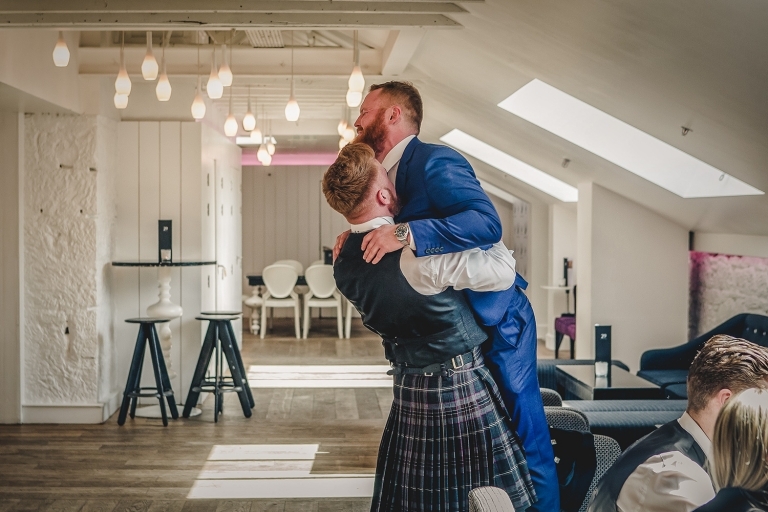 This gives me a chance to do some shots of the groom and best man (or men if there’s more than one) meeting/greeting guests on arrival. I’ll also tap up the best man (men) and grab the wedding rings for a quick shot. I do this early on just to make sure that the best man actually has the rings – if he doesn’t 🙁 there still might be time for him to head off and get them! Joking aside, this did actually happen once! I’ll also use the time to speak to the co-ordinator/MC on the day and also the celebrant, just so that I know what their plans for the ceremony are. Mike’s Top Tip – best man, please have the rings LOL and, everyone else, please ignore me while I take lots of candid shots during this time :-). Religious, civil, humanist…all ceremonies are different. Some will be at the venue, some in a church, some in a field :-)…but the one thing I’ll guarantee is that I won’t be up in your face during this very important part of the day. There’s a good chance that I may even be sidelined to a specific part of the venue…typical of churches…and advised not to move! On occasion, and this may come as a surprise to some, photography may even be banned during the ceremony…again, typical of churches. Despite all the restrictions, I’ll be looking to get all the key shots such as the bride’s arrival, walking down the aisle, exchange of vows, register signing and walking out as husband and wife..and you’ll probably barely notice me, “photo ninja” that I am – a bride’s words, not mine LOL. 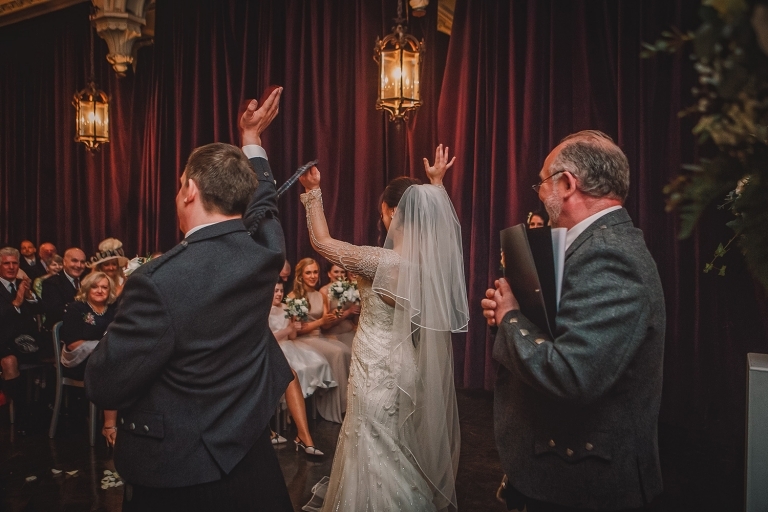 Mike’s Top Tip – do check with your celebrant if there are any restrictions on photography, especially if it’s a church service, as no one likes to find out on the day that photography is not permitted (trust me guys, this did happen once). So really, this is the first part of the day where I kind of take some leading role to make sure we get all of your group shots done. I have a list of suggested shots but, and this is quite deliberate, it only runs to about 10 shots in total and includes just the close family members such as parents, siblings, grandparents, plus the bridal party (bride, groom, bridesmaids, best man, ushers). You can of course add more shots to the list but, go too far and you run the risk of simply running out of time. I work on a “3 minutes per shot” average, so have a list of 20 shots and you’re looking at an hour to run through these. Trust me, you are likely to get bored as well – I’ve seen it happen many a time. For the shots themselves, I’ll set each one up, take some formal and some, shall we say, less formal ones…oh, and I don’t like gaps so everyone in nice and close please, even the guys :-). Mike’s Top Tip – keep the list concise and cover your bases by having one large “extended family” shot on both sides rather than lots of individual ones. Oh, and assign someone to round everyone up who’s needed for the shots – it’s amazing how much time is lost when folk go AWOL…sorry, that’s two tips I know! Once the group shots are finished, I usually suggest heading straight into our couple shoot, and I’ll base this on how much time we have left before you’re needed to sit down for dinner – typically this probably won’t be any more than 20 or 30 minutes, if that. So, we go off on a wander and just pick out 3 or 4 different locations at your venue and shoot! I don’t really go for lots of cheesy posing or grinning at the camera – my preference is just to put you in a spot where the location and light are going to make you look fabulous…and then just go with the flow and see what happens. Every couple are different…some are very “touchy feely” where others are not – I just want your shots to reflect you as a couple. 20-30 minutes maximum and we’re done. Mike’s Top Tip – please ensure that you allow around 90 minutes from the end of the ceremony to the call for dinner to allow enough time for the group shots and bride & groom shoot. And please also factor in any travelling time if you’re moving from a church to another venue..not much photography gets done when we’re all travelling in the car! Probably one of the more nervous parts of the day for the guys who are due to speak but, for me, I simply stand back and shoot candids again. I’m on the look out for reactions, and there’ll usually be plenty of them during the speeches – tears, laughter, looks of bewilderment and shock – you name it, it’s usually always in there. Mike’s Top Tip – think about your top table layout; a round top table doesn’t lend itself very well to being photographed, as people block each other. 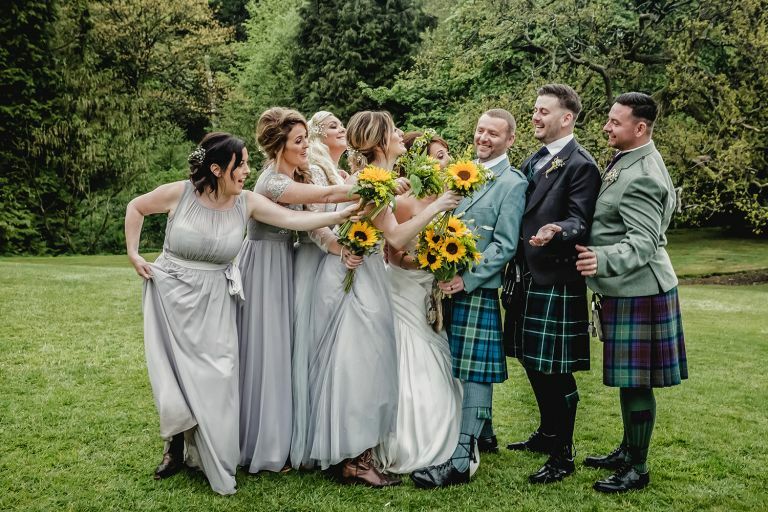 A long top table works best but also ensure that there’s not loads of flowers (or anything else for that matter) that’s likely to get in the way – shots of the groom cringing at the best man’s speech from behind a floral display is not a good look. One of my favourite parts of the day is the after-dinner shoot. First up, I would say that you don’t have to do this but, most couples agree that having been sat down for nearly two hours, they quite welcome the idea of a few more couple shots for about 15 mins after dinner. And, the great thing about this time of day is that the lighting is often quite different to earlier…it could even be dark at certain times of the year allowing us to create something very dramatic. And, of course, with all the formalities of the day complete, everyone is just that wee bit more relaxed :-). Mike’s Top Tip – Just give it a go! Although your evening is just starting, the day’s almost done for me, but I do stay for the first four dances (at least – a few more if needed). For your first dance, I’ll stay on the edge of the dance floor and just shoot. But boy, when everyone else hits the floor, so do I, right in the middle of everything! There’s an incredible transformation in people come the evening – earlier in the day no one wants to be photographed but, come the dancing, everyone is suddenly my best friend…can’t possibly think what causes the change! I think it’s fair to say that my shooting style on the day is very laid back, very documentary, very observational – in fact, I’d estimate that I shoot about 85% of the day in this way, allowing you to enjoy the day for what it is…a wedding day and not a photo-shoot. A lot of what I capture is candid, “in the moment” shots, “right place, right time” and the odd bit of luck…real moments though, not fake, like the shot above LOL. 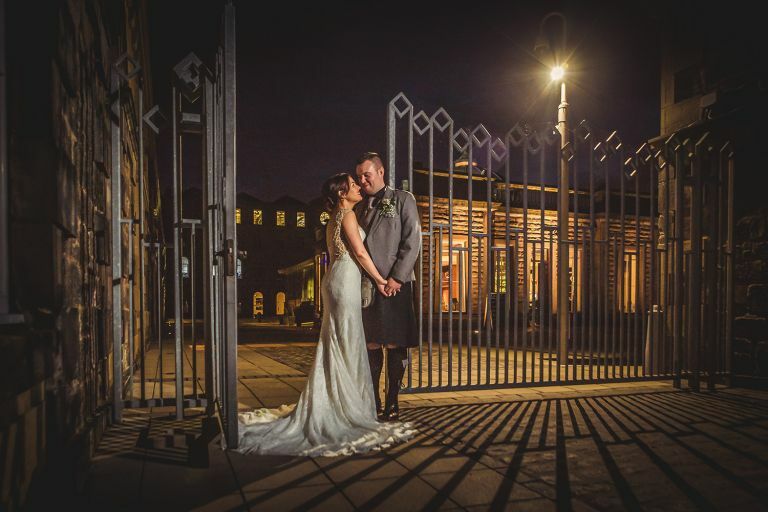 If you like my style of shooting a wedding, why not check out this blog for tons more weddings and pictures…and leave a wee comment below if you like.